Abstract: This paper aims to assess the political and cultural status of the island of Cyprus as the only place within the Mediterranean where Christian heirs of Romans and Muslims shared the local tax revenue to create a buffer zone between two empires. 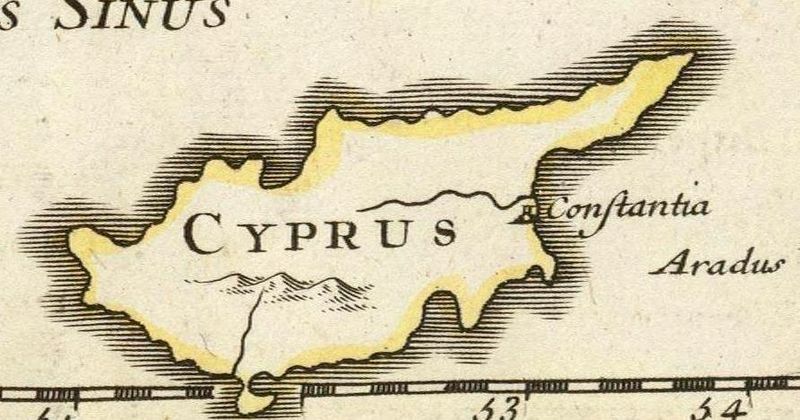 Geographically isolated between the Constantinopolitan and Damascene hegemonies, and marginalized by emperors and caliphs alike, the development of Cyprus was destined to take a unique, perhaps problematic, trajectory. Detailed examination of archaeological material (seals, coins, ceramics and material artifacts) suggests a different interpretative scheme to the one traditionally adopted to interpret the declining fate of Cyprus after the Muslim raids and the occupation of Syria and Palestine. Instead, I propose, Cyprus and its cities were still active from late antiquity to the early middle ages, preserving a variable but still traceable degree of economic vitality (benefitting from the circulation of Byzantine and Arab coinage), which infers the maintenance of complex political, commercial and cultural relations (implicit in issues of imagery and prototypes of coins) between the Byzantine Empire and the Umayyad Caliphate. Introduction: A recently produced French drama, Des hommes et des dieux, narrates the story of trappist monks living a peaceful routine of prayer, medical assistance, and community interaction with the local Muslim population of a little Algerian village; although this idyllic situation was soon to be brutally interrupted by the threats of some Islamic fundamentalists, the Christian monks are regarded as of a piece with the rural Muslim society: they provide the population with medical assistance, trade the honey and fruits produced in the monastery orchards, take part in the local feasts and celebrations and are even consulted when important political decisions must be taken. The audience is therefore compelled to ask which of the two communities – if any – is really hegemonic? Either we define the concept of hegemony simply according to the rules of etymology (from the Greek ἡγεμονία, hēgemonía, meaning leadership, power) or if we prefer, we lean towards Gramsci’s use of the term to denote the cultural predominance of one social class over others, it is difficult for the audience to decide which of the two communities pictured in the movie is exerting full control over the other. It seems that these coexist and mutually benefit from each other’s influence and presence. An idea that seems to undermine the very concept of hegemony as, in fact, the suffix monos (single, unique) – as embedded in the root of the word “hegemony” – is here diluted into a double and reciprocal “dominance”. Rather than regarding such an episode as a fashionable and politically-utopian exception, one can see the monolithic idea of hegemony challenged once again in fifteenth century Italy, when “Turceschi” raids repeatedly hit Friuli and Puglia (in the north- and south-eastern parts of the country) and an Ottoman expedition corps conquered the city of Otranto in 1480 . Even then, when the dominant Christian culture recommended showing no mercy in the face of devilish invaders and fighting the unbelievers to the last man (fantasizing about new possible crusades), the real dialectic was not that between two enemy powers but between the (supposed) «official collective hostility and the unofficial accords punctuating everyday life». The latter could morph into Christian (or Jewish) merchants traveling between the two sides, Christian missionaries who tried to convert the Ismaelites, Christian slaves who abandoned the cross to become Muslim, and eventually Christian women who – free of any constriction – chose to follow the Ottomans when they were eventually forced to leave Otranto in 1498.